I know what you are thinking. That must be a misprint. 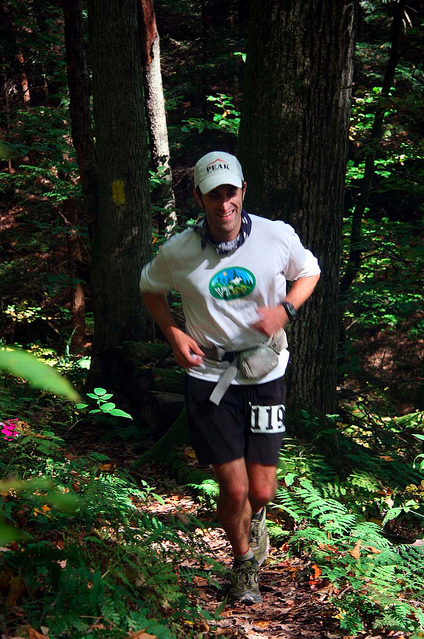 There's no way he just ran a 50-miler almost an hour faster than at the Vermont 50. There's no way he just ran an hour faster than a time he confidently declared less than a month prior...would be nearly impossible to beat again. Well...you read it right. I really did just shatter my previous 50-mile PR by over 50 minutes. My "Perfect Race" performance at Vermont that I talked about just a few posts prior resulted in a crazy new 8:41 PR that stood for all of 4 weeks (and with a 5th place Oil Creek 100 race thrown in between). It should be known that I had no intention or desire to run this fast or hard. The simple answer is that it was a perfect weather day, and the course is incredibly fast and runable. Michael Wardian was quoted after the race (Which he also PR'd at) as saying he "thought it was a faster course than JFK". With that said however, I would not have ever expected to run 9:24 min/mile pace...for 50 miles. On Saturday night, I had the wonderful pleasure of volunteering at the pre-race dinner/expo/packet-pick-up. I was in charge of handing out race bags and explaining the rules to the runners. It was an absolute blast. I got to talk one-on-one with legends like Mike Arnstein and Michael Wardian, and I got to banter back and forth with several like-minded ultra-crazies. It's nice to know that I'm not alone in my insanity. There were quite a few local Nittany Valley Runner Club members hanging around that I caught up with as well. Being that the race is the USATF championship race, I felt it appropriate to finally sign up to be a member too (only 10 bucks). After the expo, I had the somewhat bizarre experience of hopping in my car and driving home to my own bed before a race. Weird...I know. I woke up early Sunday, grabbed my gear and gummies, and drove the 10 minutes to the start of the race at the foot of Tussey Mountain. It was rightly chilly out. Somewhere in the high 30s. I stayed nice and warm in my car until the very last minute when I saw everyone gathering around the start. A quick national anthem and a few race instructions later....I was off. The course starts off on pavement and the leaders were out quick. For about 2 minutes I could still see the lead pack in front of me....and then they were gone. I settled into a brisk, but comfortable 155 bpm pace (whatever that is). It felt like 8:40-9:00 min/miles or so, but was probably closer to 8:00 min/mile pace. I figured I'd push my heart-rate a little at the beginning, and tone it down as the race progressed. Leg 1 starts off with a tough climb and brings the runners up to the highest point on the course. This leg forced me to watch myself and keep it at a decent pace. At the top though, I let it rip. Legs 2 and 3 are notoriously fast and easy. 7+ miles of uber-fast fire road. At one point I timed myself on this stretch and was running sub-8-minute miles (perhaps a big reason as to why I feel so destroyed today). 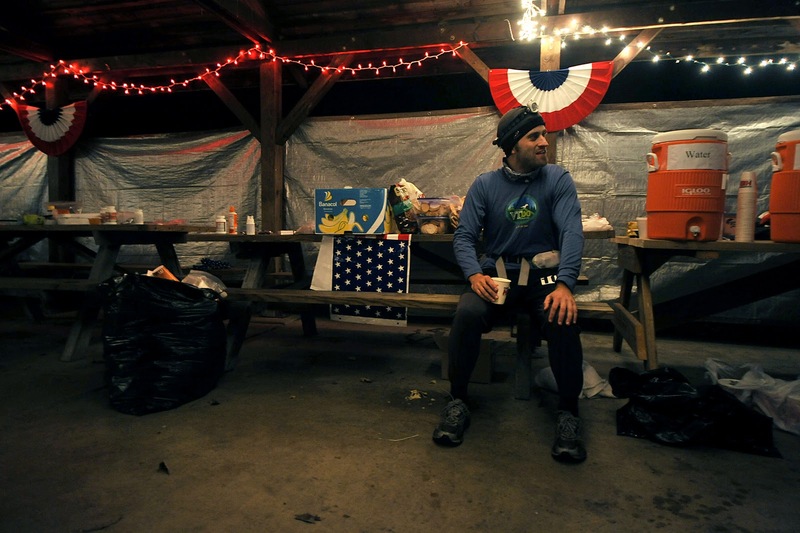 Upon reaching the end of Leg 3 at Whipple Dam, I finally hit up an aid station and talked a bit with some folks. I opted to keep my arm sleeves and gloves, as it was still super cold. I hadn't really thought about finish times or goals yet, hadn't really looked at my watch seriously (other than to monitor heart-rate), and had a very loose goal of maybe running sub 9:30....but really to just keep smiling. 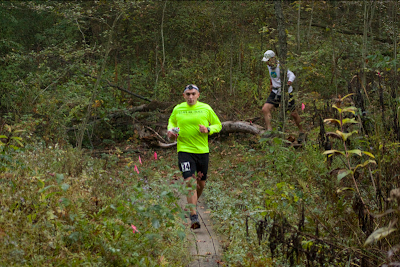 Leg 4 out of Whipple is a tough one. It is a 10k stretch with a tough little uphill at the beginning. I kept it in check through this part with the goal to just keep running...even if slow. I had told myself that I wanted to try and run all 50 miles. Somewhere near the top of the climb, I realized that I was "running" slower than I could walk and switched to a brisk power hike for about a 3 minute stretch to the summit. At the gate at the top of leg 4, the afterburners fired up again. Leg 5 is FAST and downhill. I was cruising at about 8 min/mile pace (which is fast for me in an ultra, at mile ~20). 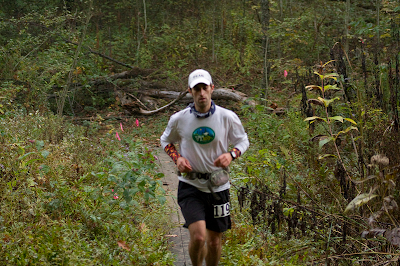 Coming into the aid station at Alan Seeger picnic area...I was still smiling, and moving fast. I was hydrating well, eating well, keeping up on my salts, and overall doing great. As I approached the station, I decided it was time to lose the sleeves and gloves. One aspect to the race that I didn't anticipate is the car traffic. In order for the support vehicles to keep up with their runners, and for the relay runners to properly leap-frog, vehicles have to drive on the same roads that the runners are on. Usually this was a good thing as you got lots of honks and cheers. Sometimes though, the drivers were a bit reckless and weren't paying attention. It made for some added stress to the running and certainly justified the "no-headphones" rule. In general though, it wasn't a complaint in so much as it was an extra aspect to keep aware of. Thankfully, I was far enough up front where the traffic was somewhat minimal. I can't speak for those that were two hours behind me. As I continued on through leg 6 towards Penn Roosevelt Park I settled into a more modest pace. I was starting to feel the effects of going out too fast, and running the downhills too fast. I was just barely half-way, and starting to hurt a bit. I was in and out of station 6 quickly and began the very tough climb starting leg 7. About 2 minutes into the climb a runner came up on me. I turned around to move out of the way when I immediately recognized the familiar face. Smiling happily behind me was the one and only, Keith Straw. Yep...the same Keith Straw that I ran the last 1.5 miles of Oil Creek With. He had again forgone the tutu, but was sporting the pink gaiters in full form. I was thrilled to see him again and for the next 5 miles we ran together chatting it up heartily. We traded stories from Oil Creek, he told me all about Badwater, and we discussed possible future races. I simply cannot stress enough how good of a guy Keith is. A true gentlemen and a fantastic athlete. When we reached Station 7, I had hit my low-point of the race. The soreness was catching up to me, and all the chatting away with Keith had left me feeling pretty winded and sluggish. I gracefully let Keith go on ahead and spent an extra minute at the station. I needed to regroup if I was going to finish with a smile still on my face. I forced myself to spend another extra minute slowly eating some food and to give myself time to regather myself. Local runner, and fellow Vermont 100 finisher, Jeff Smucker (who I hadn't yet met in person yet) was waiting for his relay runner at the station....so we chatted for bit. The weather at this point was awesome. High 50s/Low 60s, cool breeze, sunny...but shaded. Perfecto. I slowly began walking out of the aid station eating and taking long deep breaths. When I passed the last parked car I began running again and it felt ok. I kept the pace conservative as I knew I still had 20 miles remaining. Legs 8 and 9 I knew would give me a bit of a reprieve. 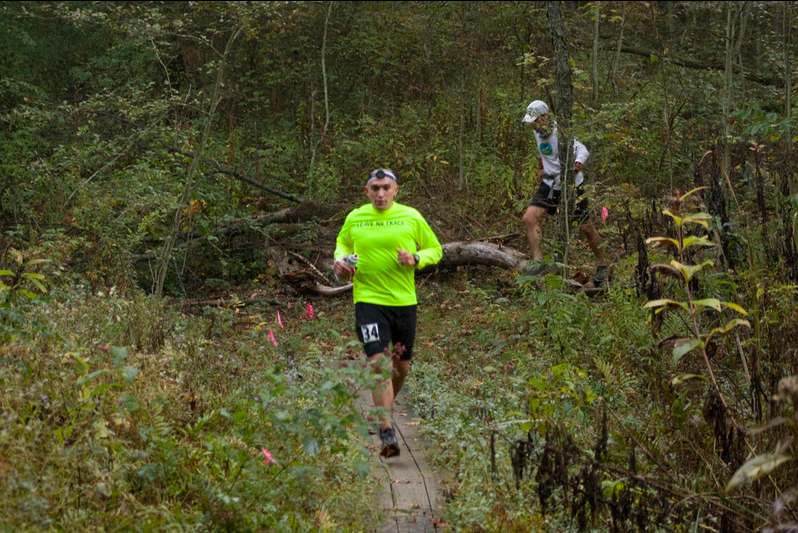 They are two very pleasant segments of the course (mostly flat and down). I comfortably went through these legs just trying to tick-off some miles while maintaining my running. The pace was slower, but a run nonetheless. 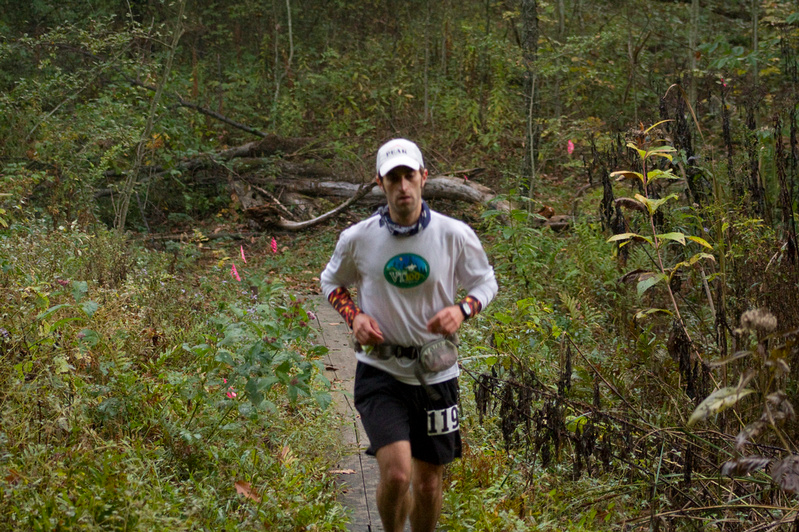 Coming into Colyer Lake at the end of Leg 9 (Mile ~36) I was really starting to get tired. 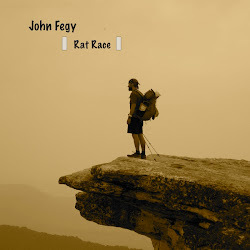 The year of ultrarunning combined with a fast race...was finally catching up to me. In the picture below, you can really see that I'm no longer smiling. I was starting to think that the next 14 miles couldn't come fast enough. Thankfully, right after the photo was taken, I filled up on all sorts of good food and received some incredible support. Coming into Colyer Lake feeling pretty awful...but excited to see my "support team"
Leaving Colyer was tough, but I forced myself out and began running immediately. I knew the climbs were almost over. If I could just make it up leg 10, the worst climbs would be over. I grunted and groaned my way up and several cars passed me giving me lots of verbal support. After what seemed like an eternity of running, I finally began hearing the cheers coming from the aid station. When I rounded the corner and pulled into the station, I was welcomed by an enormous crowd of people. I had forgotten that the station actually served as two-aid stations because the next leg was an out-and-back, back to the same station. Because of this, there were dozens of relay runners waiting to hand off for both legs. I was getting a lot of cheers from everyone. It felt incredible, and gave me that last little boost I so desperately needed. I filled up, fueled up, and headed out for the last 4 mile hilly bit before my final descent to the finish. As I headed out, I realized I had caught back up to Keith...who was now struggling a bit. I ran up to him and he put a big smile on. He said, "It's good to see you back in your true form John. Ten miles back, that wasn't you. This is the Oil-Creek John I know. Now get up there and run it in strong". This was the absolute best thing I'd heard all day from a runner...and I immediately took off. I ran backward for a few seconds yelling back to him, "Don't you stop running Keith, you are still going to get that sub 8-hour finish!". Ten miles back, we had both talked about the possibility of finishing sub-8-hour. Up till that point, I hadn't looked at my watch. When he said sub-8, I practically bust out laughing...but when I looked at my time, I realized it was actually possible. How the Hell was I running so fast? I didn't feel like I should be on sub-8-hour pace...what gives? Eventually I just accepted it and decided to see if I could finish by running out-right. When I moved ahead of Keith, I figured I was on pace for something like a 7:58 finish (it would be close). I made my way the two miles to the furthest point of the leg and turned around at a pumpkin on the ground by a small table. There were also two volunteers there documenting the runners. This was the turnaround for the out-n-back section. Very quickly I passed Keith in the other direction, who was only about a minute behind me, and I began running the long uphill climb back to the aid station (the last climb of the day). I finally hit the top of the climb, very tired, and sloppily began hobbling back down to the aid station. I walked in, filled up, said "Thank you" to everyone, and happily made towards the finish 4 short miles away. I hit the last mile right where the road splits off at the beginning of the first leg and I was now on the home stretch to the finish. I checked one last time for anyone on my tail, and I was still clear for as far as I could see. I happily, albeit painfully, ran up the road to the Ski Area at the foot of the mountain where I crossed between two telephone poles under the finish line with a final time of 7:49:50. Somehow, I had made up about 5 minutes in the last 4 miles....or instead of running the 9:30 pace I was trying to maintain, I ran more like 8:20 pace. After I finished, I immediately collapsed down onto the soft grass and began feeling all sorts of unpleasant pains. Yep...I ran too hard. I guess I really did just run a 7:49 race. Ugh. 5 minutes later, with a total time of about 7:55, Keith Straw came running across the finish. I cheered wildly for him, shook his hand, and thanked him for the wonderful in-race conversation. I'm sure I will see him again. All I was thinking in this pic was, "Advil and bed please"
Overall, I am very pleased with the race and my crazy new PR. It's been quite a year of running for me. Not only did I set many new PRs, but I re-set many of those same PRs multiple times. 2011 will definitely go down as one of my best years for running. I plan to do a full year-in-review look at my race highlights in my year-end post, but for now I will simply say that I have a big smile on my face when I look back at this year. Between May and October, I was somehow able to run 7 ultras (three 100-milers, three 50-milers, and one 50k), and several other marathon and shorter races.....without a single DNF. I feel very fortunate to have remained mostly healthy (although my damned "Rothrock-Toe" still acts up from time to time). The race itself was full of some interesting new ups and downs for me. I felt pretty darn horrible around mile 35. I remember telling people at the end that had the race been a 100k (just 12 miles longer), I very well may not have been able to finish. I pushed myself just about has hard as I could have for the race. In all, I walked probably only about 1 to 2 tenths of a mile (or I ran 49.8+ miles out of 50), and never spent much time at the aid stations (except for #7). The powerbar gummies and cliff shotblox did ok, but in general I don't think I fueled enough for the performance level I was running at. Today, I am VERY sore. More sore than I've been all year except for maybe after the Pocono Marathon. From a race perspective, Michael Wardian absolutely crushed the course record with a time of 5:33 (that's 6:40ish pace for 50 miles!). Todd Braje (the previous course record holder), came in 2nd almost 20 minutes later, with Michael "The Fruitarian" Arnstein right behind in 3rd. In general, there were a lot of very fast finishes. My time of 7:49 would have placed me about 15th in previous years. This year, I placed 24th overall, and 13th in the open mens category. More pics/stats to follow....stay tuned. For the first time since I started running long ultras in 2008, I'll be running an official ultra in my home town. 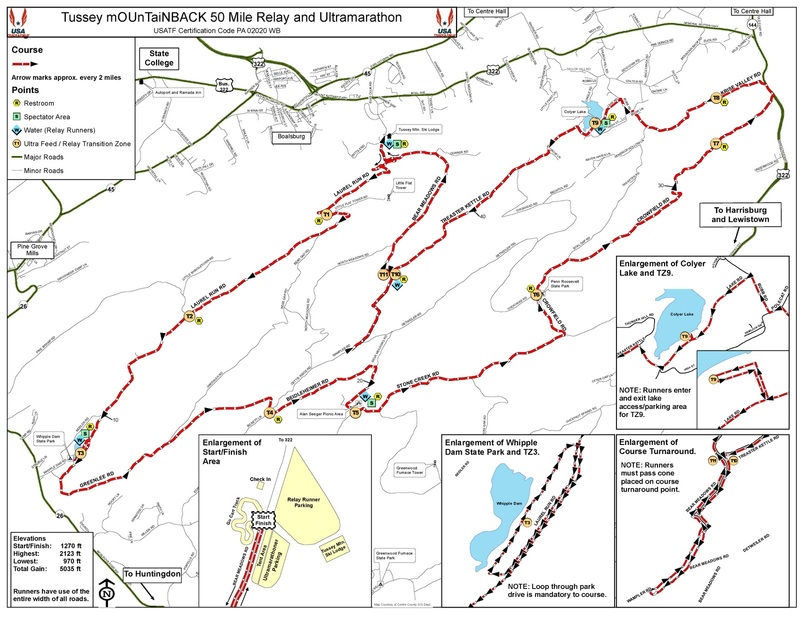 The Tussey mOUnTaiNBACK is a 50 miler ultra and relay course that happens in late October right down the street from my apartment here in State College. Every year, I am either gone, or have another race during the Tussey and have been unable to do it, so I'm very excited to finally be able to participate this year. There will be several friends and colleagues running both the ultra and on various relay teams, as well as many familiar faces cheering me on. The course is also home to the USATF 50-mile championship and so has drawn some fast runners this year (i.e. Michael Wardian, Michael Arnstein, The returning champ: Todd Braje, etc). I have quite literally run every leg of this course and most of my recent Saturday long runs have been at least partially on the course (I know these fire roads quite well). I have absolutely zero expectations for this race other than to really and truly just have fun with it. I deploy for Antarctica in less than three weeks, and just want to cap off my 2011 ultra season with a fun and smile-inducing hometown run. So, to all my State College friends...come by on Sunday and cheer for the runners, and even volunteer at an aid station if you feel up to it. They can certainly use the help. I can't think of a better way to finish off a very fun and successful season of running. Lots of ideas for what new races I might try for next year have been bouncing around in my head lately. I'm certainly trying for Western States again, but my expectations are admittedly low. The coveted sub-22 hour "golden" buckle! Somehow my legs had it in them this weekend. 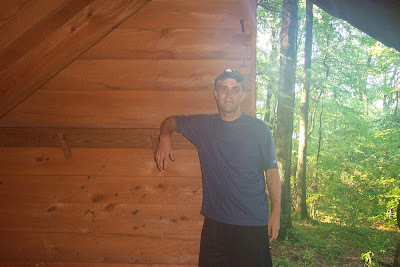 I drove up to Oil Creek State Park Friday night still not sure if I was going to run the 100-miler Saturday. I have been tired from all the running this year and mentally, I just wasn't feeling it. I figured I'd pitch my tent, hang out, and wait to see if I got the "vibe". After a great dinner, and some chatting with other runners, I decided that I'd give it a try. I quickly went to bed knowing I'd be up in less than 6 hours. 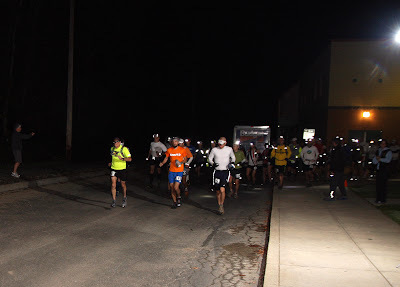 At 5:00 am we lined up outside the Titusville school, and started running. My goal for the day, was to simply enjoy myself...much like up in Vermont. I knew the course was a tough one, and a PR wasn't going to happen...nor did I want it to. I just wanted to enjoy the wonderful trail. For the early part of the first loop, I simply chatted away with other runners, not caring who passed me or who I passed. I enjoyed the banter with aid station volunteers, and took in the beautiful trail. I am quite familiar with the loop as I not only paced a runner in '09, but have hiked the trail several times. It stayed dark for about two hours, and only began to lighten up as I was running under the wooden oil derricks, just before the Petroleum Center aid station (~Mile 15). One word to describe the volunteers for this race: Incredible! Each of the four primary aid stations had the most helpful and understanding volunteers that I've ever dealt with, at any race. Filling my bottles, making me custom sandwiches, and tending to my needs. Truly fantastic folks. As I left aid station 2, I realized I was alone...a situation that would end up being a theme for almost the entire race. There was no one in sight either in front of, nor behind me. While I have experienced solo spells during races before, this was different. I truly felt like I was out in the woods here in State College for a Saturday long run. There was no concept of a "race". I just felt like I was out for a weekend jog. It was quite a strange feeling. For the next 15 miles it was like this. 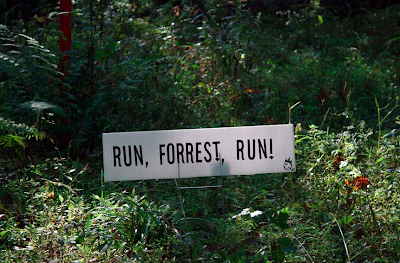 I saw one or two other runners as I hit the 3rd aid station, but then was on my own again. By now, it was early morning and the temps were quite pleasant. The forecast called for a sunny mid-70's day. 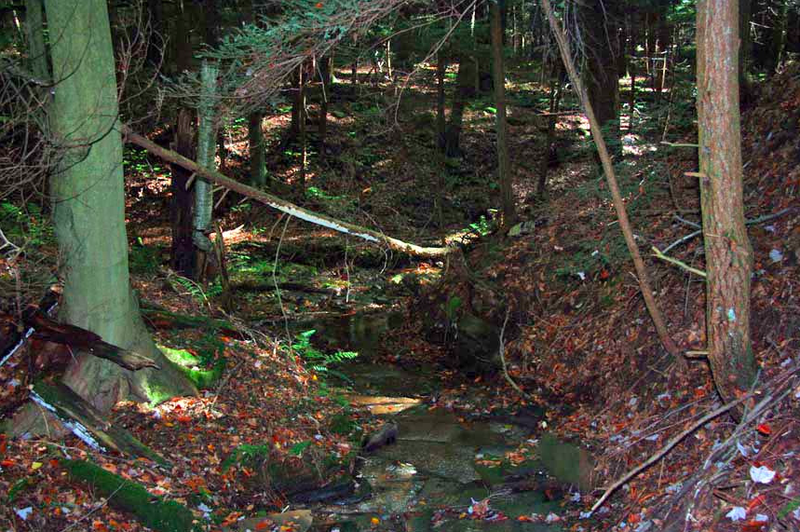 As I exited the trail onto the road, the course went around the historic Drake Well. 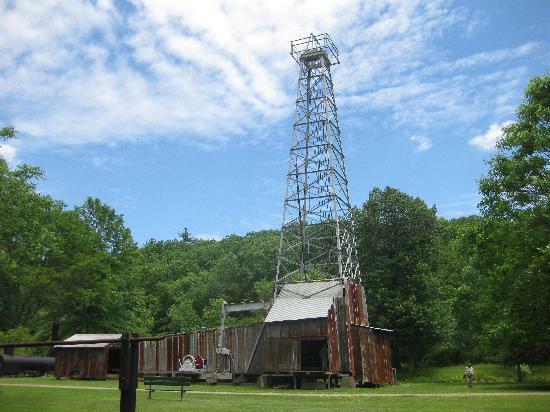 I did the short 1-mile loop around the well, listening to the steady thump of the powerhouse. When I finally pulled into the School a mile later, after the first 31 mile lap was over, I checked my watch: 6 hours exactly. "Cool! ", I thought. 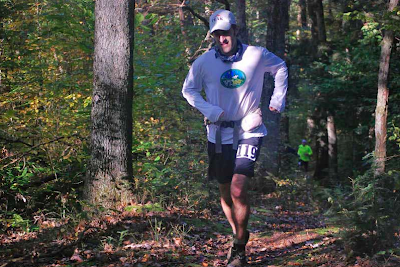 I didn't feel like I was pushing, and in my mind a 6-hour 50k for a casual pace was fantastic. I took a good 7-8 minutes digging through my bin and resupplying my gummies, shot-blox, and various other supplies. After a nice mingle with the aid station staff, I began my lap 2 still feeling good. I had no idea what place I was in, nor did I care. The second lap, in my mind, would be the hardest. I knew that despite having one lap under my belt, I would still have one more to go. Also, the entire 2nd lap would be done during the hot part of the day. I headed out from the school and ran the mile-long bike path back to the trail head with another runner. It was the first time I had company in over 15 miles. We headed into the woods together and chatted away for a while. Somewhere just before the first aid station, the topic of finish goals came up. He then said something which changed my entire motivation for the day. He said, "So, did you hear. You get a specially-engraved GOLD buckle for finishing in under 22 hours?". I had not heard this...but from the minute he said it, I had one thought in my mind: That sub-22 buckle would be mine. I had a new sense of purpose and began thinking honestly if it was attainable. At my current pace it would be close, and would basically take a PR (or damn near it). This course was decidedly harder than the VT100 course, so the thought of a sub-22, at least on paper, seemed unlikely. But I wasn't about to give up. I thought, "let's see how I do on lap 2". I had one goal for lap 2 and that was to simply get through it as strongly as I could without feeling like I was burning out. On and off I ran with a few people here and there, but it soon became clear that I would be mostly on my own now for the rest of the race. A couple of the lead 100k runners did pass me on this loop, and I managed to lap a few of the 50k walkers...but like I said, I went solo for most of it. 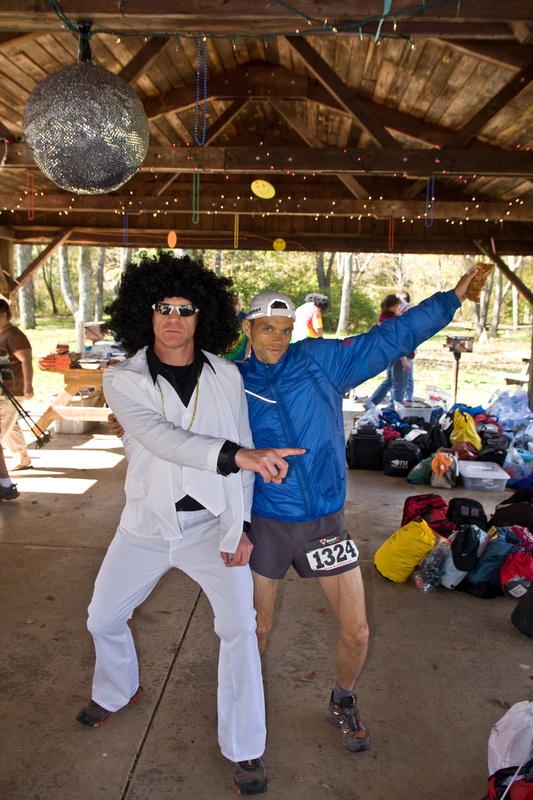 As I came into the 2nd aid station (~Mile 47 or so), the staff was cheering wildly for me and there was even a guy dressed up as elvis. It was awesome....a real morale booster. Out of curiosity I asked what place I was in, and was told under 15th. WOW...really? Cool! I headed out of the station and soon crossed the half-way point. I looked at my watch and it read 9hrs 50mins. At the Vermont 100 in July, I hit the half-way point in 10 hrs, and finished in 21:48. Damn, this was going to be close. I kept thinking, "Do I have enough in me to maintain a VT100 pace this late in the race, on a much more difficult course?" The thought alone seemed monumental, but I just kept thinking short-term goals. Make it to the next aid station without walking, or finish the loop in under 7 hours so that you have 7:15 for loop 3...etc. Again I ran the entire 15 miles back to the school by myself, and in the hottest part of the day. I hit the bike path about a mile out, and noticed my knees were really hurting with the pavement-pounding. What horrible timing...just as I was about to finish my 2nd lap. I was beginning to doubt myself and thoughts of dropping with a respectable 100K (62 miles) began creeping in. No buckle, but still a good run right? When I got to the aid station I looked at my watch: 6 hours 45 minutes. Damn, I ran the 2nd loop only 45 minutes slower than the first. Maybe I could run sub-22. That was all I needed to head back out. I quickly resupplied, grabbed my headlamp, and headed out just before 6 pm for my final full loop. The best part about heading out on the final loop of a multiple-loop ultra, is that you know every step of trail you pass over, is the last time you'll see it. For this race, this was actually not entirely true. 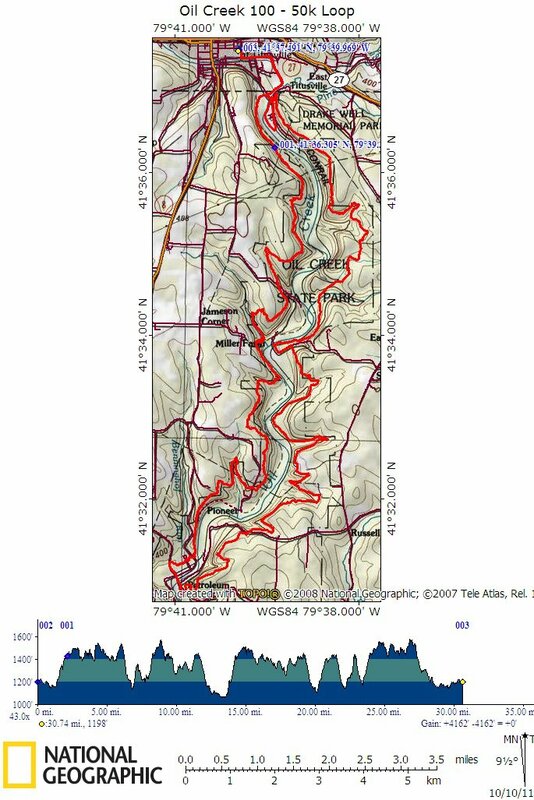 There is a 7.7 mile final 4th loop that must be done to complete the 100 miler, and this loop uses the first and last 3 miles of the course. So, as I ran along the first couple miles of Loop 3, I kept thinking that I would still get to see that part of the course one more time. 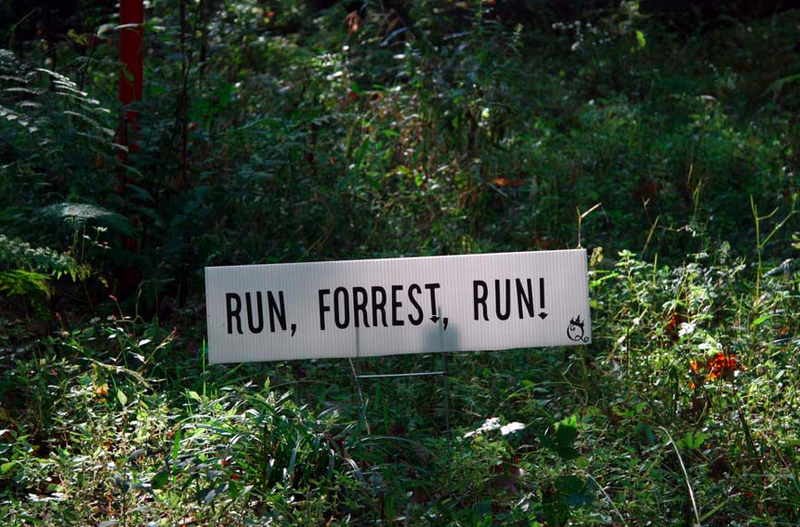 When I passed the sign indicating where the Loop 4 runners turn, I smiled knowing that I was now running on trail that I would not see again. Right around this point, it also started getting dark. I flipped on the headlamp right as I made my way into the first aid station (which was also my favorite on the course - Wolfkiel). I told the volunteers I was on a mission and couldn't stay long. I got a fill up and left quickly....still alone. Leaving the station, the race took on a very different feel. I was all alone, in the dark, in the fog, guided by only a dim head-lamp. It was truly surreal. I absolutely loved it. Just like I talked about in my Leadville report, there is something about being this late into a race, in the dark, that is just magical. I weaved my way around the trail for another 7 miles and pulled into the 2nd aid station after about 3 and a half hours. Damn...it was going to be close for that sub-22. I again, was in-and-out quickly. I made the long slow climb up Heisman Trophy Hill to the top of the ridge and trotted my way along the longest section of the trail....about 8.8 miles to aid station 3. I tried as much as possible to run the entire leg. I just kept thinking I could "build up" more cushion. Little did I realize that I was just barely treading water. I passed by the people camping out at the Cow Run shelters and stood by their campfire for about 15 seconds. It was great. Moving on from here was hard and the following stretch dragged on for what seemed like an eternity. I felt like I was seeing the same turns over and over again. When I finally did make it to the 3rd station, I was so happy, that I took a minute to enjoy a grilled cheese sandwich. It was heavenly. On my way out, still not having seen a single runner in over 25 miles now, I headed up the dreaded "Death March Hill" past the old (and spooky) cemetery. By this point, I knew I was on the last leg of the last big loop and damn near 90 miles in. I began running on adrenaline and could think of nothing but finishing the loop and getting out there for that victory "headed home" final 7.7 mile loop. I passed the point on the trail where the final fourth loop comes in and I thought....I'll be there in two hours....woo hoo! I came out of the woods, rounded the Drake Well for the last time and ran all the way in to the school, having finished all three loops and 93 miles. I looked at my watch and it said 7 hours 20 minutes...only about 35 minutes slower than lap 2. I did the math very quickly and realized that I had 1 hour and 52 minutes to do the final 7.7 mile loop. What I didn't realize is the awful hill that was waiting for me. As I ran into the school at the end of my lap 3, I didn't even stop to go through my supplies. I simply yelled at the volunteers and said, "I'm going right back out...NOW!" I didn't want to waste a single moment. I knew it was going to come down to minutes. I booked out of there running immediately. No time for walking. I forced myself to painfully run the entire paved bike path back to the trail head. When I started up the first climb, and after nearly 30 miles of solo running, I heard someone yelling, "Hey! Am I on the trail?!". I had come up upon Jill Perry who was running a strong first place. Her headlamp had died and she was relying on a very weak flashlight to help her navigate. After getting off-trail and having to backtrack a bit, she had convinced herself she was still off-course. I caught up to her and told her she was ok, and that the turn off for final loop was about 15 minutes ahead. I assured her that she was going to be ok. I decided to run with her a bit just to make sure, but I soon realized that we were walking a bit, and I felt the sub-22 slowly slipping away. I asked if she was going to be ok if I went ahead, and she told me to go for it. So I graciously stepped ahead.....and turned on the afterburners. I steamrolled down trail and practically bust out with giddy jubilation when I reached the sign that said "100 Miler Loop 4 runners turn here --->" I turned and headed down along the river eventually crossing over a long expansion foot bridge. When I reached the other side, I saw the sign...the dreaded sign. It said, "The Hill of Truth". Dear God was it awful. I had convinced myself at this point that I was not only going to finish sub-22, but that I would actually PR. The Hill was awful though. In retrospect, it probably wasn't that bad, but at mile 97, it was a crusher. I fought my way up it, hands on my things, panting excessively, teeth showing, strange grunting noises emanating, and plenty of cursing. I finally reached the top and connected back in with the main trail, only to make my way back down again to the Drake Well. This time, the course skips the well, and there is just the 1.5 mile bike path and road back into the school. Right as I connected with the road I caught up to Keith Straw finishing his third loop. For those of you that don't know, Keith is a 2010 grand slammer and all around great guy. He is also the guy that often runs ultras in pink shoes and a pink tutu. Yes...he's that guy. I looked down at my watch and it read: 21 hours 40 minutes. I had 1.5 miles left. There was no way I was going to PR and do it in 8 minutes...but pending some disaster, I was going to get the buckle. Keith and I chatted it up wonderfully. It was so nice to share my last mile and half with such good company after running alone nearly all day. I was really worried how I would fare without a pacer and trying to keep motivated this late in a race. It definitely was very different, and in general I prefer having a pacer, but it was still ok in its own way (if that makes any sense). I kept wanting to walk, but Keith kept telling me to keep the jog up and to not make it too much of a close call at that finish line. Right as we dumped out of the bike path and on to the road, about 3 tenths of a mile before the finish, my clock passed 21:48. I told Keith..."Well, that was my PR...less than a half a mile from the finish". He just laughed and said something about how he couldn't imagine a PR on a course like this. When we rounded the final turn towards the school I saw the sign indicating a turn to the finish line. I said goodbye to Keith, turned and sprinted in. Just before crossing the line I looked up at the clock and it said 21 hours 51 minutes 53 seconds. I crossed the finish line, arms in the air and screaming. There was no one there. I looked around for a minute. "Hello? Uhhh....I just finished. Is there anyone here to document this? Oh crap, is this not the finish yet?" It was just then that Tom Jennings came out of the back door congratulating me on my great time. There were all sitting just inside the door with the clock computers to stay warm. Still, it was a little weird to cross a finish line with no one around. I shook Tom's hand, walked inside, was awarded my sub-22 custom gold buckle and sat down with a ENORMOUS grin on my face. Awesome. ...and then I was told two little pieces of good news. and Second: That I placed 5th. Overall. Not 5th in age group, or 5th division....but 5th overall. Holy crapballs. I've never placed top 5. Awesome. Somehow I went from about 15th place earlier in the race, to 5th. I didn't remember passing 10 people, but I think several of them may have dropped. I was also the last person to cross sub-22. There was a guy hot on my heals, but he crossed the line in 22:04. Ugh. Jill Perry did win for the ladies, but finished in 22:10. So. A HUGE success this past weekend. Not only did I run in my 5th 100-miler, and finish my 5th 100-miler...but I finished right on PR time, and was one of only 5 runners to receive the golden sub-22 buckle. Today I'm hurting quite a bit, but I feel ok otherwise. I definitely feel like I can still run Tussey in two weeks and will be looking forward to it. I really can't believe how good of running-shape I feel like I'm finally in. It's a little upsetting to think that I'll be heading to Antarctica for two months and will lose a good portion of my fitness. But...so it goes. I will get to enjoy the amazing majesty of the frozen continent, so it will all be worth it! As a final note, I just want to say thank you to the amazing race director: Tom Jennings and to all of the aid station volunteers, traffic and police volunteers, and to those that marked the course so wonderfully. This race had some of, if not THEE best volunteers I've ever come across. So, sincerely, thank you. For a race that I participated in completely solo, with no pacer, no crew, and virtually no running companions at all.....I still managed to have fun and finish strong! Yay for happy endings!! - Aid station food: Just about everything! Oil Creek 100: Race Preview? 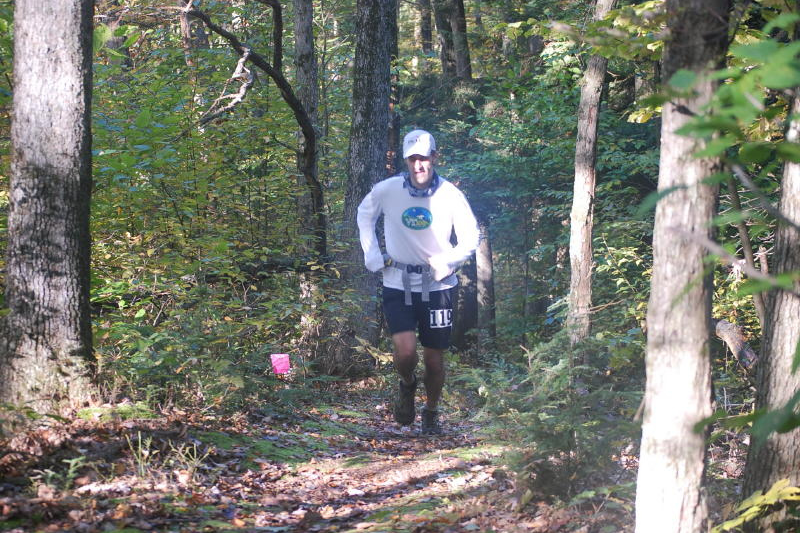 Back in 2009, I had the honor (and good fortune), to pace an incredible runner at the first annual Oil Creek 100 trail race. I had such an amazing time trotting along for nearly 40 miles with a woman I had only just met. I needed some volunteer hours, and the race is only about a two hour drive from my apartment. I figured what better way to volunteer than to literally show up and ask runners as the go by if they need a random pacer. As luck would have it, Susan (my runner) came through after 62 miles in rough shape talking about possibly dropping. I convinced her to keep going and that I'd run with her. She agreed and ended up finishing strong. I saw Susan again this past summer at the VT 100 where she again finished with a great time. This year, some time back in June, I got the crazy idea to sign up for Oil Creek...knowing full well I would be running the VT50 and likely the Tussey Mountainback 50 on two weeks either side of it. I don't know what I was thinking, but I signed up anyway. There something about the course that I have a very big warm spot for that has a rather historical connection for me. 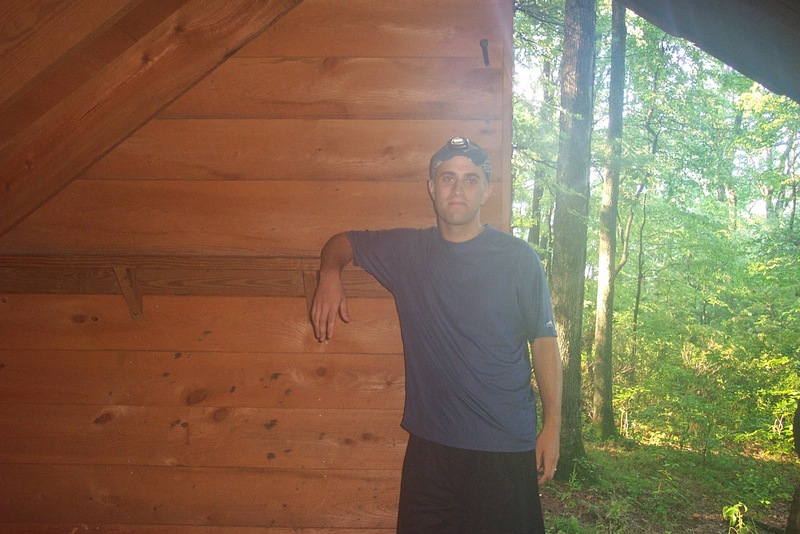 Back in 2006, when I was dealing with all sorts of negative situations, I found solace in hiking. 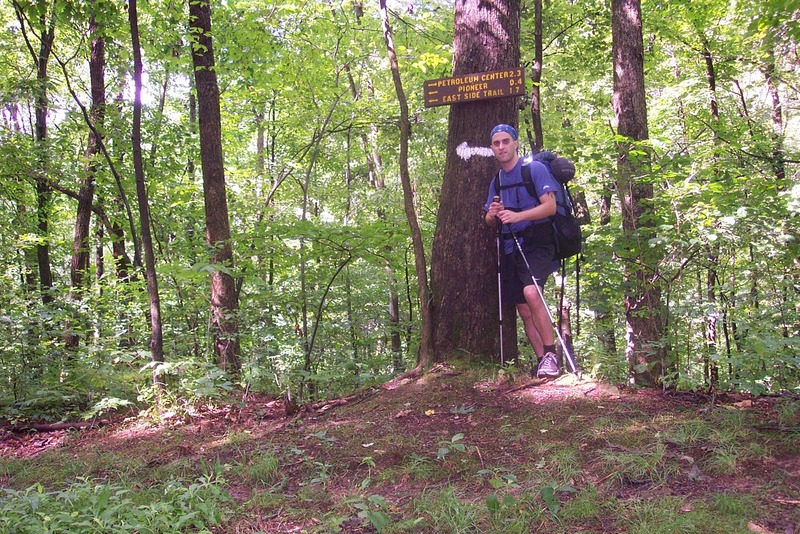 I had been toying around with the idea of thru-hiking the Appalachian Trail the following summer but was worried about having so little experience with solo-hiking. 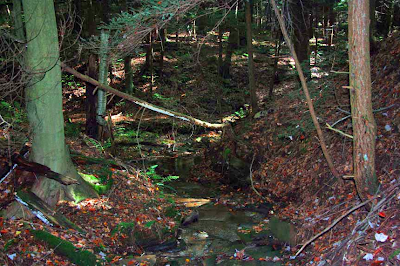 As a test to myself, I set up several long-weekend hikes that summer to shake-down my gear and my ability to simply go alone. 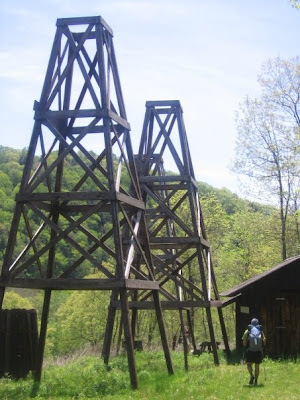 The Oil Creek loop trail was one such hike. 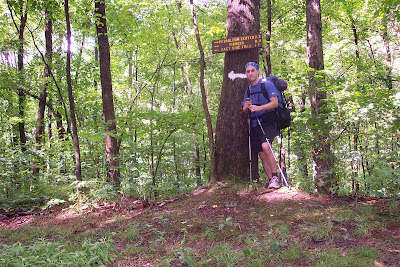 After doing most of the loop, I came back convinced I could do a long thru-hike. As you all know, the following summer I did complete the entire A.T. and subsequently the C.T. and P.C.T. 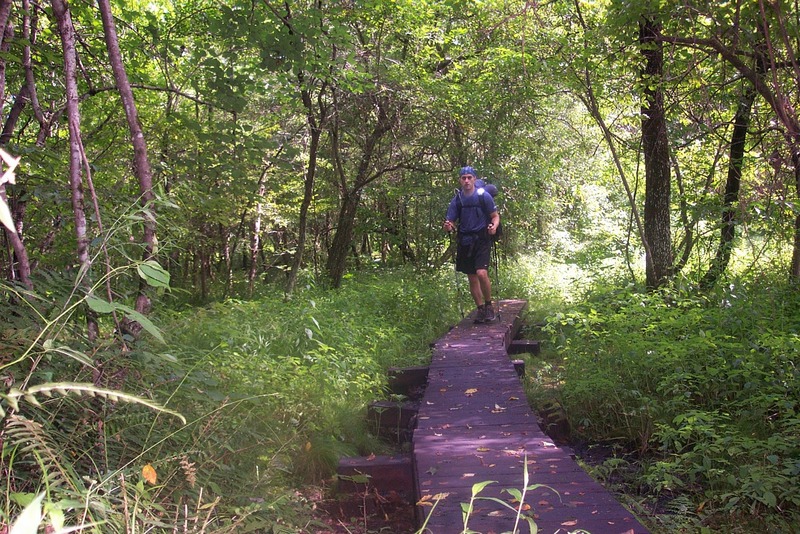 So in a sense, the Oil Creek Trail was one of the very first solo hikes I ever did, and one of the first few hikes that started that thru-hiking spark within me. Now, I have nearly 6000 hiking miles under my belt. 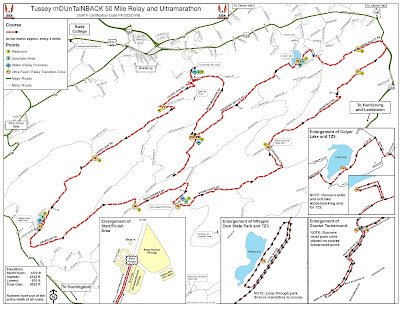 The course is a 31 mile loop that is done 3 times for the 100 miler (plus a 7 mile extra loop). 50 and 100k runners obviously just do 1 or 2 loops. 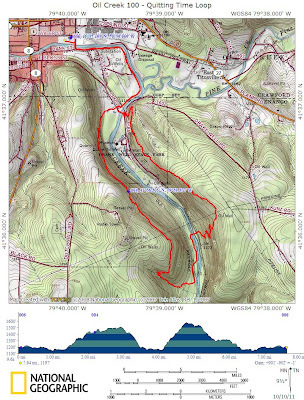 Despite the low elevation, it is a surprisingly feisty little course with lots of undulating ups and downs. There is actually more elevation gain over the 100 miles, than at Leadville. Hard to believe, but true. What's nice is that you can leave a big bin full of supplies and gear at the start and resupply every 31 miles. I had always told myself that I would never go into a race unless I believed in my heart and in mind that I was going to finish it. Sure...things sometimes happen and force a DNF, but if I ever truly doubted the completion of a race before I even started, then I shouldn't run it. This is critical. You have to believe you can finish, or it will just be that much easier to justify quitting to yourself late in the race. You'll think something like, "It's ok to quit now, I didn't really think I would finish anyway". So, I sit here tonight not sure what my plan will be. I'm tired from a season full of ultras, still weak from the Vermont 50 two weeks ago, and really want to run the Tussey 50 at the end of the month. I am seriously considering holding back on this one and gracefully bowing out. As of right now, my heart is not 100% in it. Unless this changes by Friday, I will more than likely just go up to the race to pace again and cheer for the other runners. Maybe tomorrow I will feel differently...I don't know.